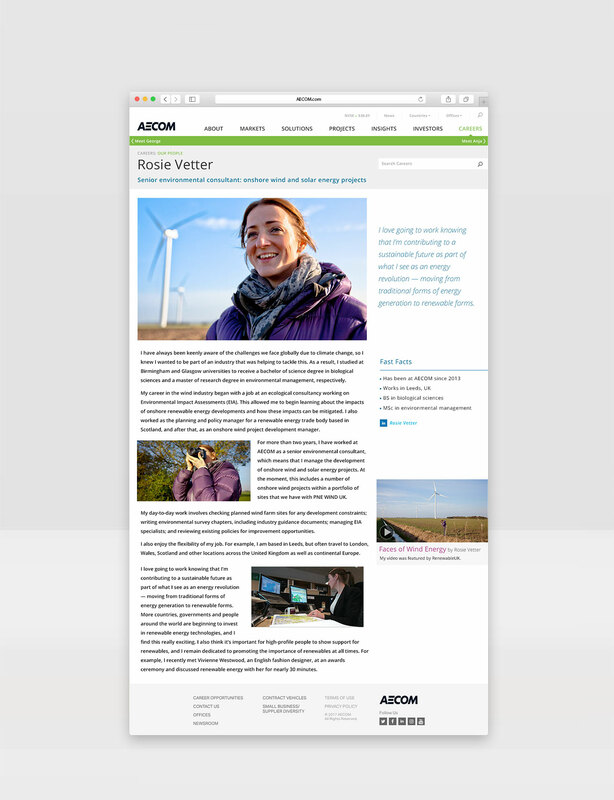 Over the course of its 25-year history, AECOM – a premiere, fully integrated global infrastructure firm – has grown dramatically through acquisition. 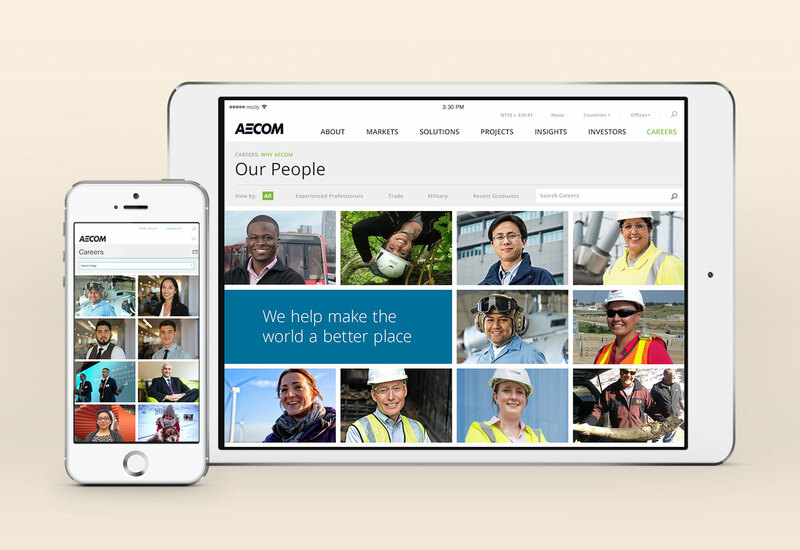 When it acquired URS Corporation in 2014, AECOM more than doubled in size by revenue and workforce. 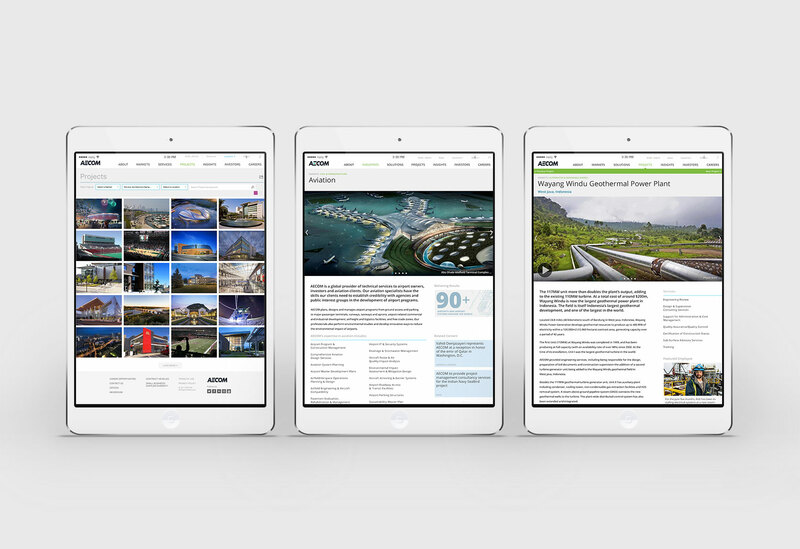 This “new” company, comprised of predecessor firms more than 110 years old, needed to rebrand. 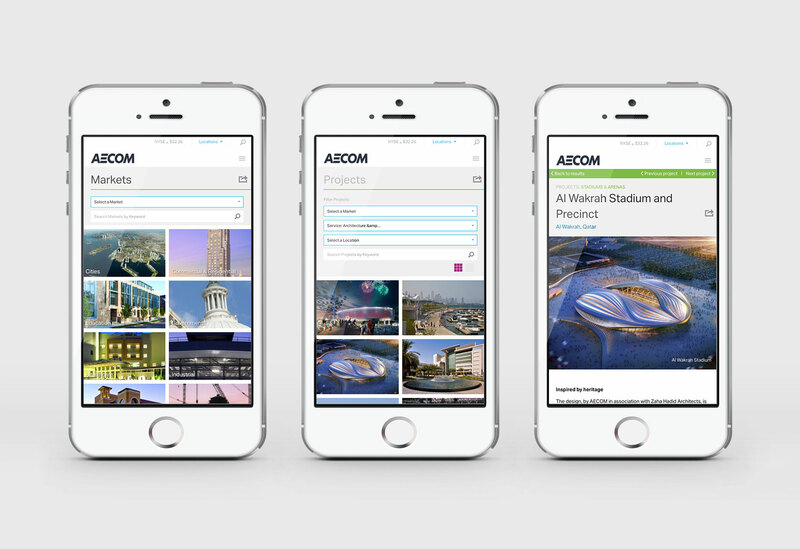 Strategy Studio collaborated with AECOM to conduct brand research and working with the internal team, developed a new visual direction for the firm. 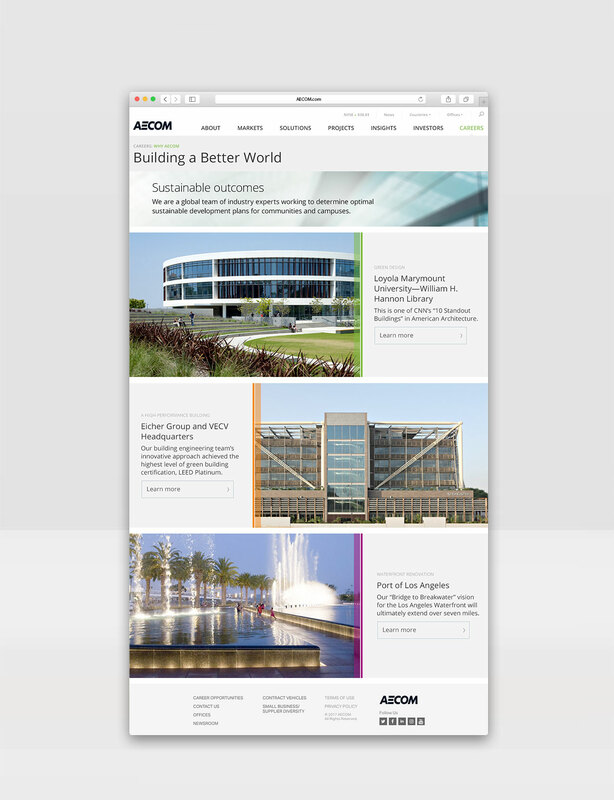 Strategy then designed, developed and launched a redesigned, fully responsive corporate website that integrated successful components and functionalities of both the AECOM and URS sites. 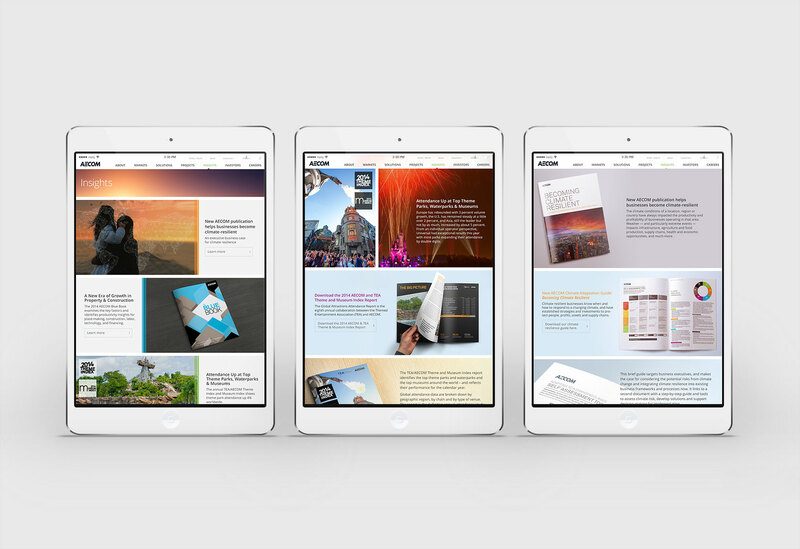 Strategy also designed and launched a combined global intranet and other digital products aligned with the new brand. 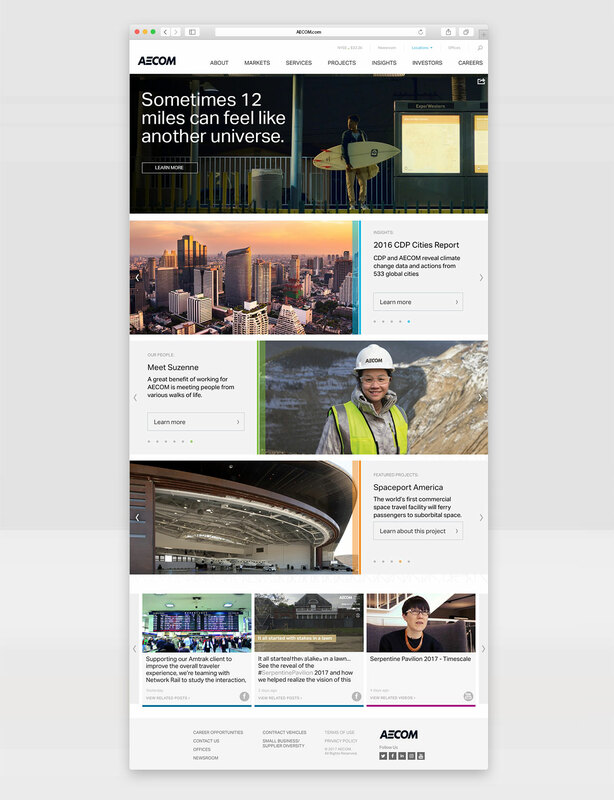 © 2017 Maymar Design. All Rights Reserved.